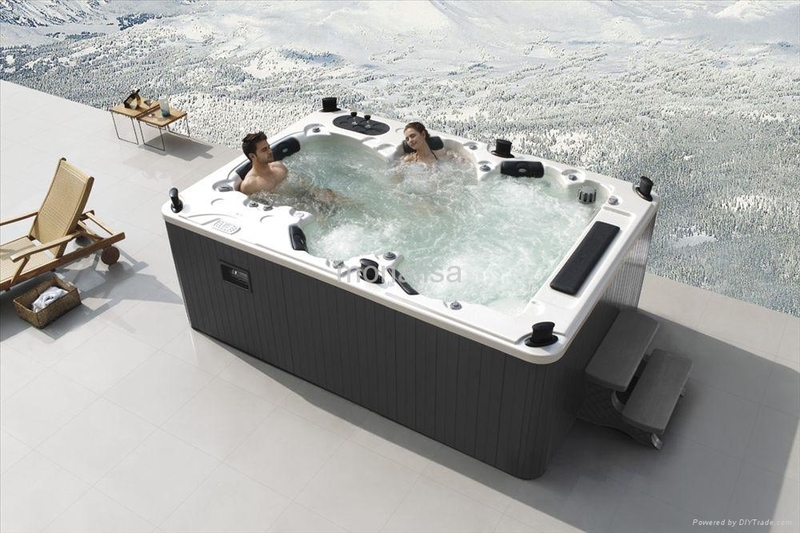 Guangzhou Monalisa Building Materials Co., Ltd., provides the spa, Bath tubs of style and performance that fit our lives perfectly. Our massage bathtub, spa, steam room, shower room, sauna room , wood arbor and shower accessories enable you to indulge yourself in total relaxation. We enjoy a history of 10 years during which we pioneer an enterprise with painstaking efforts, and now we, thoroughly steeled or tempered, still persist in pursuing the principle of "to do business with integrity, to achieve excellence and innovation" by taking great pains over difficulties and striding forward with unremitting efforts. Our company sticks to the corporate cultural theme with emphasis on the awareness of famous brands, further innovation in science and technology and resolutely establishing our brand as the most competitive brand in the health-friendly bathtub and ware industry. Working in line with the business principle of achieving mutual benefits with clients, we welcome customers around the world to contact us for more details. We look forward to cooperating with you in the near future.